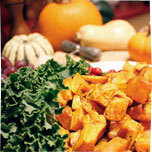 It's once again that all-too-magical time of year... Thanksgiving at Healthy Living! Our staff will be here with bells on to lead you where you need to go and help make sure your Thanksgiving table shines. Put away the boxed stuffing, ditch the canned cranberry, and chuck the frozen veggies; this class is all about from-scratch Thanksgiving goodness! Chef-Instructor Shannon Beckwith has tips-and-tricks galore to cut down on your time in the kitchen. These recipes are so easy, you'll think you were still cooking from a package! We'll be making simple stuffing, zesty cranberry sauce, a warm farro salad, and caramelized brussels sprouts. The dishes are as delicious as they are easy to prepare! Reserve your spot now. 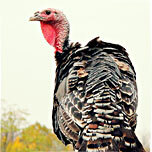 Think local this Thanksgiving and discover just how juicy and delicious your bird can be! We're offering fantastic local birds from three fabulous local farms — Buckley, Stonewood, and Misty Knoll — at an unbeatable pre-order price of $3.19 a pound ($4.49 a pound after November 22nd). Click to pre-order. 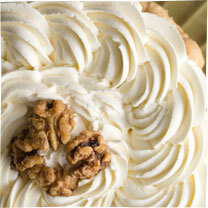 If it's ease and elegance you want this Thanksgiving, our bake shop has you covered. Order your perfect pie today and rest assured that your guests—from vegans to the gluten-free and, of course, omnivores—will love the dessert you serve. Click to pre-order. This wonderfully warming, spectacularly simple side will have your Thanksgiving guests wanting more. The best part? It's vegan AND gluten-free, so all your guests can easily enjoy the delicata deliciousness. 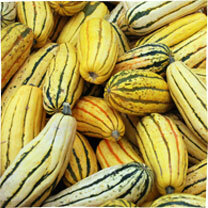 Cut each squash in half lengthwise, scoop out seeds and strings, then slice into 1/2 inch thick half moons. Toss with about 1 TB olive oil and salt. Spread in a single layer on the baking sheet and place in oven. Roast for about 20 minutes, turning once, until easily pierced with a fork. While squash is roasting, whisk together the maple syrup, vinegar, the garam masala and 2 tsp of olive oil in a small pot and heat until bubbly. Don't overheat, or your syrup will start to caramelize and get too thick. Brush or drizzle maple glaze over squash and return to oven for about 10 minutes to caramelize. Season with salt and pepper if desired; serve. 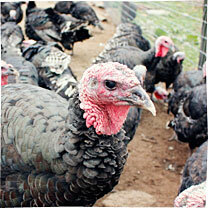 The William H. Buckley farm in Ballston Lake is proud to offer organically fed, free-range Broad Breasted Bronze turkeys for your Thanksgiving meal! No hormones or antibiotics are given to these beautiful birds—just food, water, and a whole lotta love. You can really taste the difference! 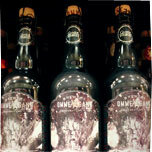 NEW PRODUCT: OMMEGANG'S GAME OF THRONES "TAKE THE BLACK STOUT"
This one's for beer lovers AND Game of Thrones aficionados! This deep, dark stout tastes of chocolate and caramel with an earthy, woody character and just a hint of spice. Winter is coming, so it's the perfect time to buy a big, warming stout like this one! Hurry in, it won't last long. Tired of doing all the cooking? You're in luck—our creative catering team specializes in custom holiday meals you and your family will LOVE! We have a long list of spectacular sides that can be custom-ordered for your big family fete. Most everything's available gluten-free, vegan, or both. For mashed potatoes, roasted yams, sage stuffing, and anything else your heart might desire, give our catering coordinators a call and let them take care of holiday meal planning. Stress-free and full of flavor... what's not to love? Friday, November 22nd · 12:00am–3:00pm · FREE! 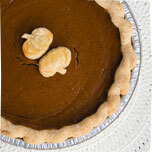 Planning on pre-ordering one of our Thanksgiving pies but don't know which one fits your fancy? Join us as we sample our phenomenal pies and get a good idea of what you like. Demo Coordinator Chris Davis will be there to answer questions and help guide you through the pre-order process. Friday, November 15th · 3:30–6:30pm · FREE! 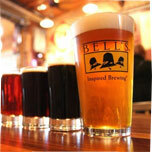 Kalamazoo, Michigan's Bell's Brewery is known far and wide for its fabulous beer. Join us and see what all the fuss is about! 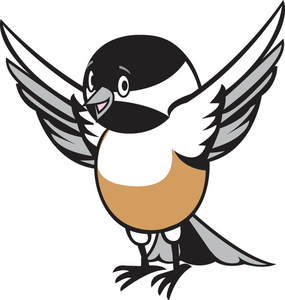 We'll be pouring Bell's Two Hearted Ale and Kalamazoo Stout. You MUST be 21+ and bring a valid photo ID to participate. We know you have holiday shopping in mind, so we've made it easy to save big on Thanksgiving necessities. Copyright © 2013 Healthy Living Market & Cafe, All rights reserved.